We have seen our fair share of video game films over the years with most being worthy of the trash can. Rarely do we see a film create it’s own universe and then pluck from the gaming world in order to flesh it out. Wreck-It Ralph in theory is the video game equivalent to Who Framed Roger Rabbit, but is it as good? Wreck-It Ralph is a classic arcade game from the 80s featuring Ralph, a gorilla of a man who smashes up a hotel and it’s unsuspecting tenants as well as the main hero Fix-It Felix. When the arcade it’s housed in isn’t opened for business the characters from all the games inside the establishment pull a Night at the Museum and come to life, converging in the surge protector they are plugged into known as Game Central. Ralph has been at his job for 30 years and feels he is treated as an outcast while Felix is garnered with parties and celebrations. Ralph craves the spotlight of being a hero and after an altercation with some of his fellow game characters, sets off to obtain the one thing that will earn him that respect, a medal. The core of the story to Wreck-It Ralph is extremely basic in it’s telling and it’s plot points. What sets it apart however is the world it’s set in, the gaming world, and how extremely clever the writers are able to convey that. Instead of going the easy route of just throwing cameo after cameo and saying “hey we are a video game movie! Look at all these video game characters we got!” it blends actual cameos with hidden easter eggs that will have the young adults and parents chuckling and smiling as they sit through the feature. It’s so much that you can’t catch everything in your first sitting, and it will probably take owning it on DVD/Blu-Ray to be able to pause and point out all the little treasures. Another plus is the film almost feels like it realizes how basic the plot is and constructs it into a fast pace that doesn’t hang on any point for too long. I was also surprised that there were no characters that I really disliked in the film, given how some of them are voiced by actors I am not the biggest fan of. John C. Reilly continues to show he can adapt to any role and is not a man who forever will play a dumb sidekick to Will Farrell. Ralph is relatable, entertaining, and someone you want to cheer for, the same for Vanellope von Schweetz played by Sarah Silverman who you can tell put a splash of her own comedic personality into the character, but still voiced her in a fashion where you forget the actress behind the voice and get caught up on what is in front of you. Of anyone on the list of talent the one that I am just not a fan of is Jane Lynch and despite that her character, Sergeant Tamora Jean Calhoun, didn’t bother me or detract from the experience. The only thing I come away with when it comes to things that didn’t work was the plot being cookie cutter. It almost feels like Disney has a formula for new franchises “for this first film you must follow this pattern”. Luckily basic plots can be decorated with strong performances or visuals and this film succeeds in doing that but just the fact that this film follows a plot I have seen in Disney films over the span of my 26 years of existence has me wonder if maybe the animation department needs some fresh minds when it comes to plotting a film. 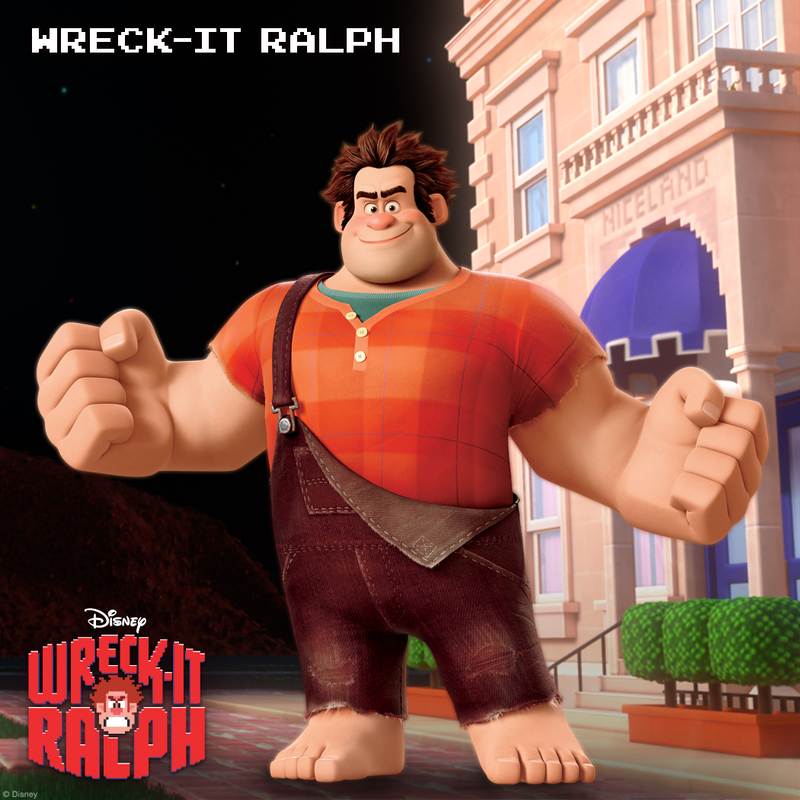 Wreck-It Ralph is a family film that succeeds in entertaining the whole family. Parents, kids, teenaged siblings, and video game nerds alike will find something to love in this movie. The pace of the film is perfect and never gets boring plus the use of all the video game licenses was brilliant and identifiable. It’s not only a film worth the full price of admission, it’s also a film worth multiple viewings.